Even by the standards of that decade Derry was not the rock and roll capital of anywhere. With no live bands worth watching, they learned by listening to mail order records, reading one of the few copies of NME that made it to Derry but most of all from listening to John Peel’s wonderful show on BBC Radio One. Practicing in their bedrooms eventually led to the band recording John O’Neill’s ‘Teenage Kicks’ in 1978 on Terri Hooley’s Good Vibrations label in Belfast. The legendary DJ John Peel received a copy and liked it so much he played it twice in a row on his radio show. The Undertones signed with Sire Records and ‘Teenage Kicks’ was re- released, resulting in the band’s first appearance on Top Of The Pops. Over the next five years, John O Neill, crafted further pop gems such as `Here Comes The Summer`, ‘Jimmy Jimmy`, `You’ve Got My Number (Why Don’t You Use It)’ and ‘Wednesday Week’ whilst Damian O’Neill and Michael Bradley contributed ‘My Perfect Cousin. They also recorded four highly acclaimed LPs. Indeed, they almost enjoyed the life of professional musicians. In 1983 Feargal Sharkey left the band to pursue a solo career and the remaining members decided to call it a day. The Undertones were to remain silent for the next sixteen years. 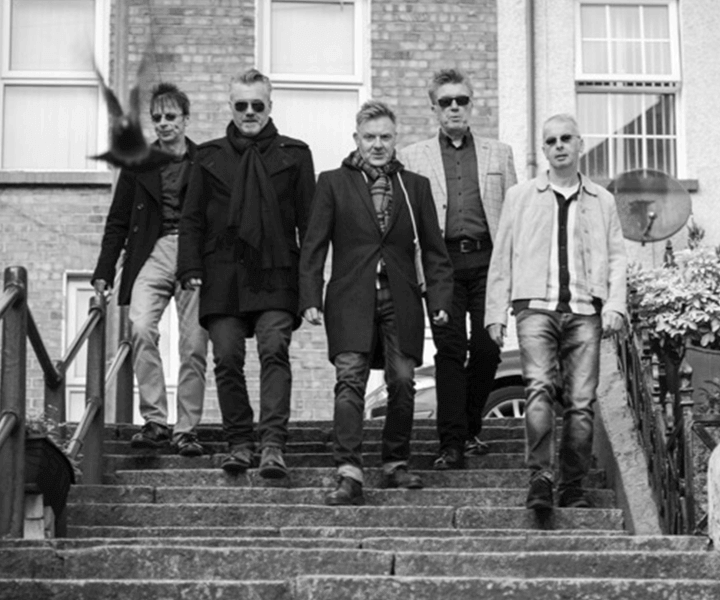 THE UNDERTONES – Part 2 In 1999 The Undertones reconvened, without Feargal Sharkey, to once again perform their two-minute, three and a half chord songs to a new generation of fans in Derry. Fellow Derryman Paul McLoone replaced Sharkey on vocals and his vocal prowess and electric onstage presence soon convinced any doubters that he was more than capable of doing the job. After much consideration the band released an LP of new songs called `Get What You Need’, which was critically acclaimed by Q magazine, Uncut, Rolling Stone and Hot Press. Songs like ‘Thrill Me’, ‘I Need Your Love The Way It Used To Be’ and ‘Everything But You’ showed that the art of writing short, sharp songs had not been lost over the previous two decades. 2016 marked the band’s 40th Anniversary. They celebrated with a variety of scorching live performances at festivals and venues throughout the UK and Europe. 2016 also saw vinyl remasters of first two LPs; ‘The Undertones – The Undertones’ and ‘The Undertones – Hypnotised’ released along with a 7” vinyl remix of the 1979 single ‘Get Over You’. Remixed by Kevin Shields (My Bloody Valentine/Primal Scream). Michael Bradley also published his book Teenage Kicks: My Life As An Undertone’. “The collective attitude of The Undertones to the magical power and influence of the humble 45rpm 7” single was always one of total reverence and respect. It really did matter. Back then in our Undertone world, a great single was even more important than the L.P it helped promote and getting on Top Of The Pops was the ultimate accolade that we were doing it right. And if you didn’t make it on TOTP’s, then there was always the next single.